The Voortrekking boot is subtly updated for Cruise 2019 with a new bi-colour cuoio and crepe sole. 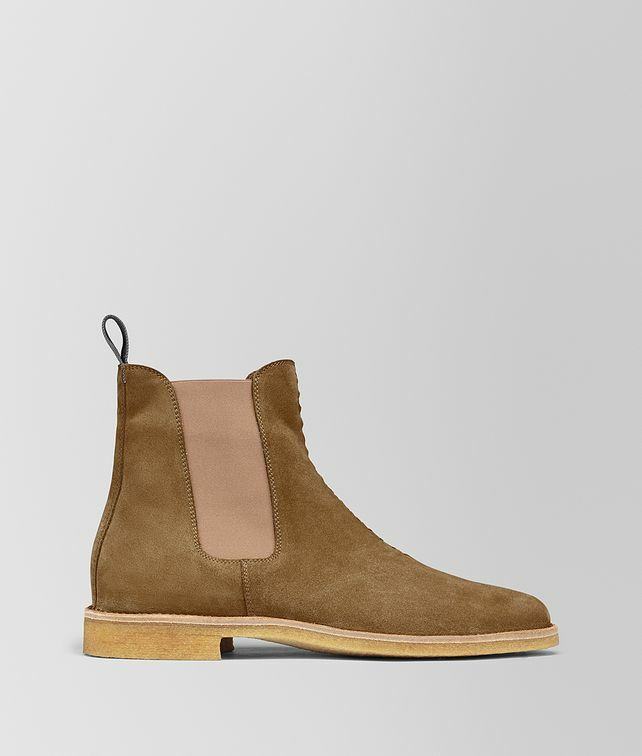 An essential style for casual looks, the boot is hand-crafted from calf suede and detailed with tone-on-tone stitching. Elasticised sides and leather pull tabs make the pair easy to slip on and off.